For ten hard-luck Texans, a new lease on life is so close they can touch it. Under a scorching sun for days on end, armed with nothing but hope, humor and ambition, they’ll fight to keep at least one hand on a brand-new truck in order to win it. 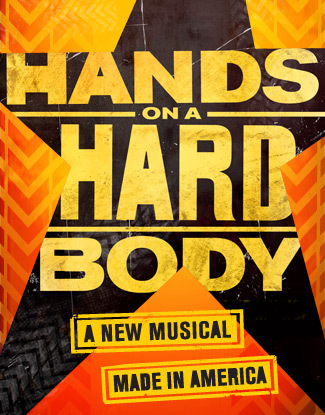 In the hilarious, hard-fought contest that is HANDS ON A HARDBODY only one winner can drive away with the American Dream. We have five pairs of tickets to give to five lucky readers and their guests! For your chance to win, simply click here and fill out our contest form! You can enter up to five times with five different guests. We'll pick the winners tomorrow at random. Not a winner this time around? You can still get tickets for as low as $65. Call 877-250-2929 and mention code MAIL1HH or visit Ticketmaster.com and enter code MAIL1HH or bring this offer to the Brooks Atkinson Theatre (256 West 47th Street).